Whether you lace up rugged hiking boots or brightly-colored running shoes, pedal a sleek road racer or knobby-tired mountain bike, or paddle a modern kayak or a more traditional canoe, there are great opportunities in and around the Maumee Valley. Join us on October 9th, in Napoleon, OH. 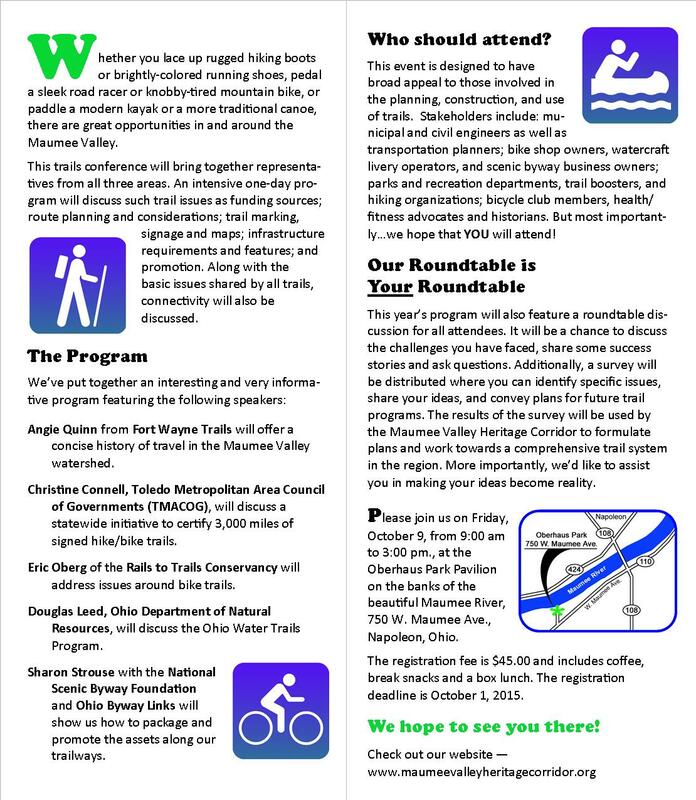 This trails conference will bring together representatives from all three areas. An intensive one-day pro-gram will discuss such trail issues as funding sources; route planning and considerations; trail marking, signage and maps; infrastructure requirements and features; and promotion. Along with the basic issues shared by all trails, connectivity will also be discussed. 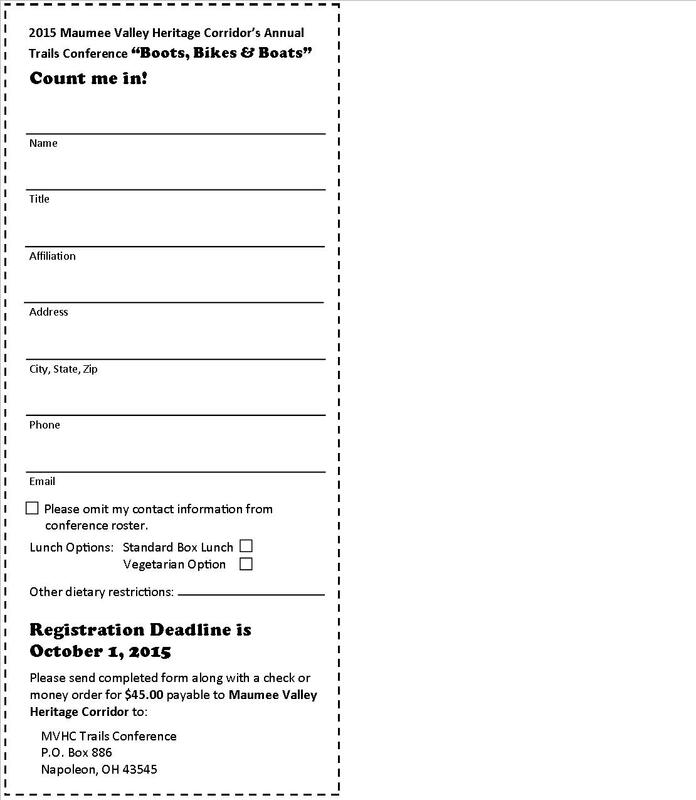 Click on any of the images below, to print and send with your registration. Questions? email us at maumeevalleyheritagecorridor@hotmail.com. 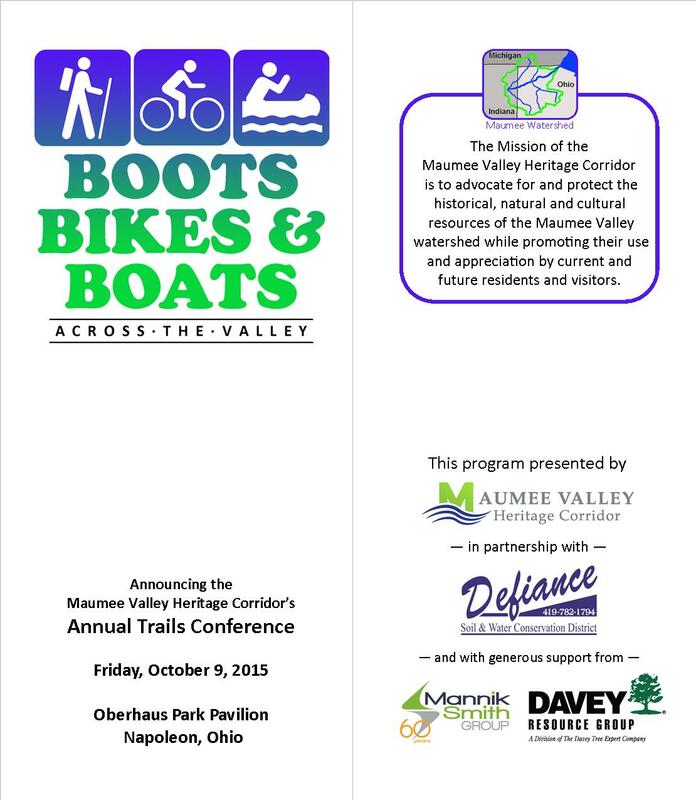 Previous Previous post: Free Program about Maumee Valley History!